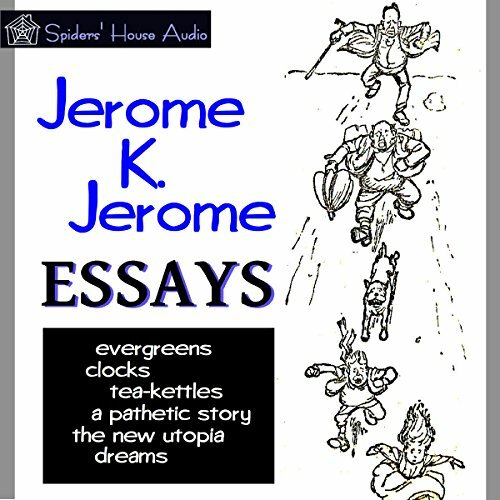 Jerome K. Jerome is of course known for the hilarious adventures of “Three Men in a Boat”. He also wrote many short stories and essays that have all the wit, whimsy, and wisdom of his more famous work. The essays in this volume were published together with “The Diary of a Pilgrimage” in 1891. They are: “Evergreens”, “Clocks”, “Tea-Kettles”, “A Pathetic Story”, “The New Utopia”, and “Dreams”. Jerome K Jerome is as always a master. he makes you laugh while making you think. the stories i listed on the cover. tea kettles: yep, j can make this into an interesting topic! a pathetic story: a writer's problems writing such. a new utopia: a must read for anyone dabbling with socialistic notions, a scarier story than all the ghost stories.